How often throughout the day does your kitchen get dirty and cluttered? If you’re like me it is a few times a day. It is not a welcoming site. When life is so busy, keeping the appliances clean is pretty difficult. 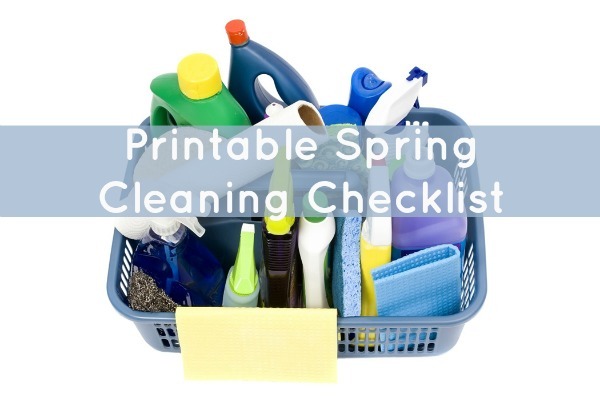 Since it is now Spring, what better time to get that kitchen clean before grime, grease and sticky fingerprints take over your kitchen appliances? 1. Oven: In case your oven doesn’t have a self-cleaning oven, combine seltzer and baking soda. Paint the mixture on the bottom and sides of the oven. Next spray the white vinegar every 30-40 minutes before going to bed. In the morning, simply wipe it in the morning. It will be sparkling clean. 2. Dishwasher: Run the dishwasher through its normal cycle. Use lemon juice and white vinegar instead of detergent to clean the tough stains. If needed mix salt with lemon juice and scrub gently to clean the dishwasher. 3. Refrigerator: Take everything out of the refrigerator and discard everything that is expired. Use a microfiber damp cloth and apply some baking soda to it. Wipe the refrigerator carefully. This will also neutralize the simple spills, odor and remove stains. 4. Microwave: Fill a cup that is microwave safe with lemon juice and heat it until it boils. The acid in the juice steam removes the grime that is resting on the microwave’s side. Use a damp and clean cloth to wipe the microwave. 5. Toaster: Turn the toaster upside down in the sink to get rid of crumbs. Then open the bottom up and again turn the toaster upside down to remove the left over crumbs. Wipe the toaster with a cloth with white vinegar sprayed on it. 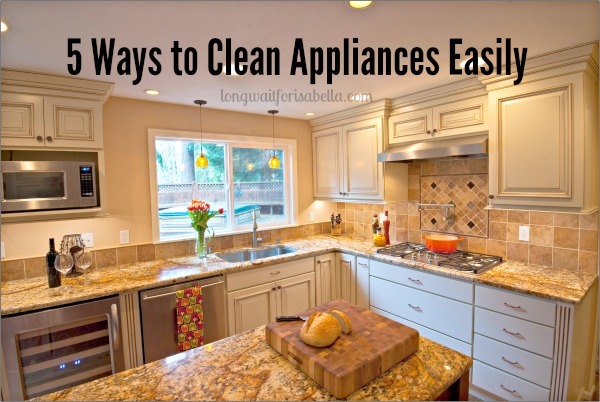 What kitchen appliance cleaning tips can you share? These are great tips! Pinning for later. We have hard water and a few months ago, I had to run some CLR in the dishwasher to get rid of the hard water buildup. If you have hard water stains, I heard to wet paper towels or toilet paper and simply leave it on the hard water stain (you know those ugly brown stains in your sink or toilet bowl). The vinegar is supposed to eat through it. If it works wonders, I will be sharing it on my blog soon.